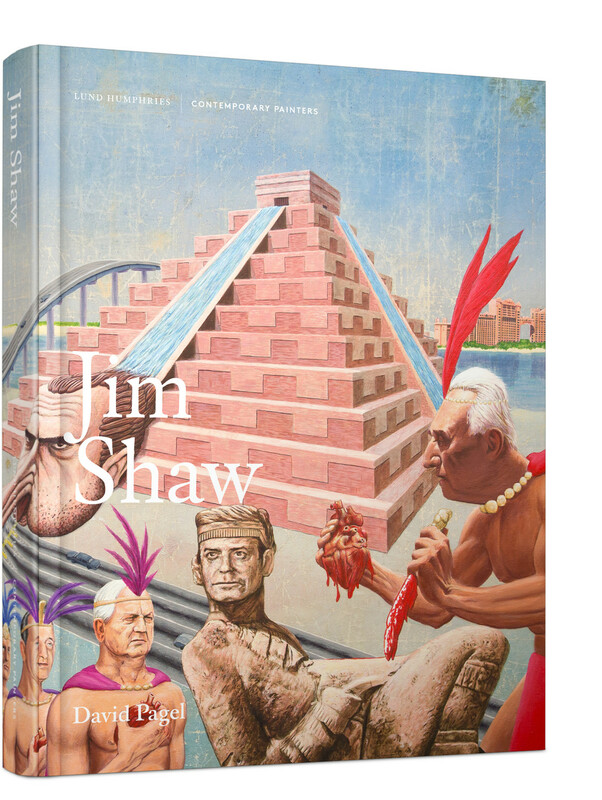 Blending the reflected cultural climate of his adopted home, Los Angeles, with the multi-layered world of American popular culture, Jim Shaw (b.1952) creates rich, dream-like worlds within distinct bodies of work. Addressing, for the first time, how the artist's oeuvre inter-relates, this substantial monograph argues that the artist's seemingly disparate series actually function together to present a lucid and insightful portrait of America today. Emerging out of the long West-Coast shadows of California Assemblage by way of LA Pop and Conceptualism, Shaw’s narrative-driven art marries art history and contemporary existence, as well as literature and comic books, ancient myths and modern movies, science and its variations in popular psychology — not only blurring the boundaries between art and life, but cultivating that confusion to consider the relationship between fact and fiction that seems to define so much of the world we inhabit today. Giving contemporary viewers an effective way to think about art, this publication is an invaluable resource for those interested in painting today and its interaction with modern life.